A new project wants to flood our streets with art this summer, but are we too afraid to see art outside of billboards? 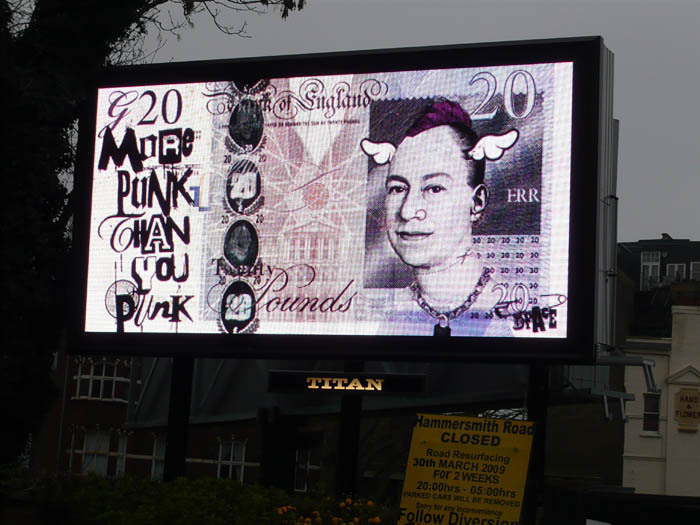 Nigel Ip considers whether Canterbury could benefit from a graffiti make-over. Consider the following scenario: You walking home from work when you pass through a series of alleyways, simply because it is a nice shortcut you have been using for a while. Eventlessly, you reach the bus stop that provides you with the means to take you home. Consider the same scenario again except, this time, the same alleyways are covered with graffiti-type artworks. 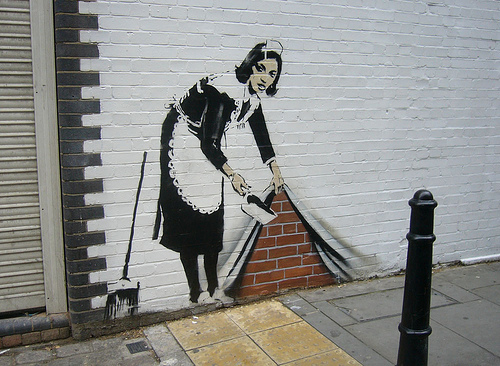 There might even be a Banksy hidden somewhere. Which one would you prefer? Most likely, we would all choose the latter over the former. A nice splash of colour on a nearby wall can be quite a mood-lifter, something I learnt first-hand on a trip to Venice. Canterbury could learn from city’s town of Biennale, where the houses are vividly painted in greens, yellows, blues and terracotta. The setting is like something out of the BBC pre-school world of Balamory, but infinitely more beautifully dilapidated. Graffiti is illegal unless consent is given by the owner of the property to which the artwork is applied. If consent is given, it becomes “street art” but, even then, this is not always the case. 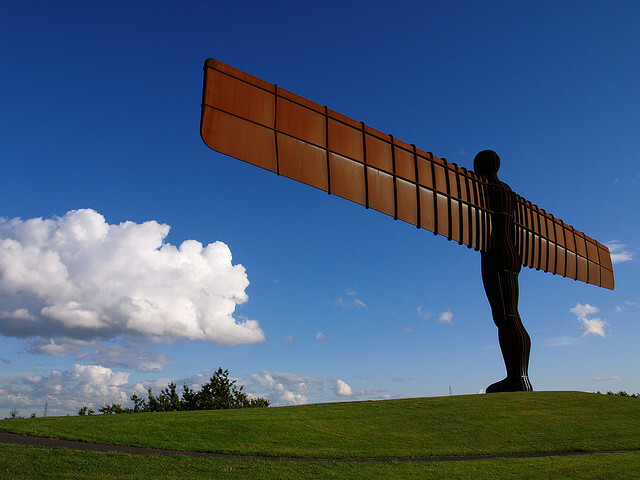 ‘Public art’ usually refers to art of any medium that has been planned and/or executed for a public domain that is accessible to the public, such as Antony Gormley’s Angel of the North in Newcastle upon Tyne, or the various Henry Moore sculptures scattered around parts of the world. Most public art which is officially recognised in the UK has been commissioned traditionally. So should there be more art on the streets? The real question is “why not?”! As a person who is not a huge fan of graffiti, I still manage to find myself somewhat captivated by intricate drawings on a shabby-looking street corner. I remember a small, very simply graffitied Audrey Hepburn on the side wall of a Clinton Cards store that I passed every day on the way to school. I found myself glancing at it every now and then, usually out of pure boredom. 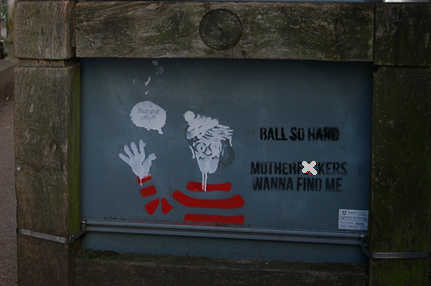 The same could be said about a slightly cheeky Where’s Wally-inspired graffiti insignia close to to the University of Kent, which has proved popular with students. Without a doubt, these public markings have an effect on passers-by, often imprinting themselves as comedic, intriguing, or simply worthy of admiration. But, annoying, many of these beautiful works go unnoticed and unrecognised. 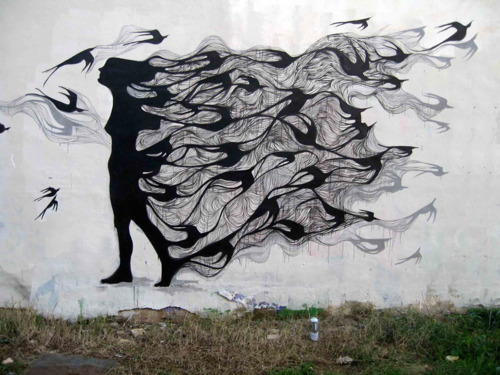 Although there are various official archives dedicated to public works of art such as Public Art Archive (www.publicartarchive.org) and Public Art Review (www.forecastpublicart.org), the same cannot be said for everyday graffiti works. We should be grateful, however, for a website called Intergraff (www.intergraff.com) which attempts to document unrecognised graffiti and street artworks from around the world, acting as an unofficial archive. 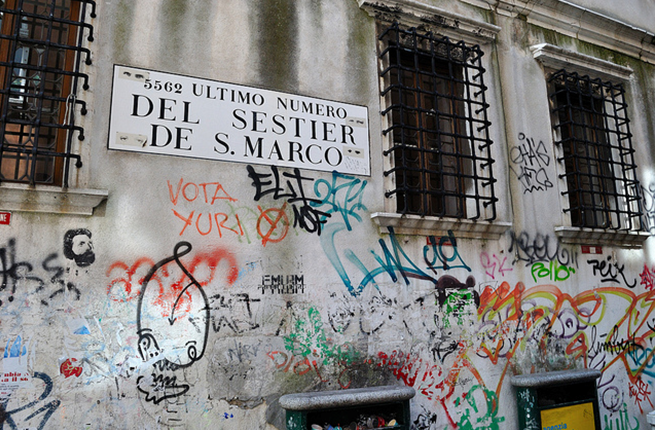 Britain could even learn from the Venezuelan participation for this year’s Venice Biennale, which attempted to recognise the street, graffiti, and urban artworks of artists affected by or linked to the socialist revolution of President Hugo Chávez in 1992. If people have dedicated this much attention to documenting these street works, clearly art by the people for the people has some sort of significance in the lives of the public, however minute. It is a shame that the law in Britain prevents proper recognition of our best graffiti. So back to our original question, should we accept more grassroots creativity on our streets? Surely a smiley face, or two policemen snogging, on a wall could do more good than bad. Although few owners would like their walls defaced with images, many of which might be rather controversial (think back to American graffiti icons D*Face and Shepard Fairey), we could start by opening up the communication between street artists and property holders. If I were the owner of a property, I would happily grant creative permission to graffiti artists the creators came to me with a plan of their intended artwork. If I like it, it could be a nice commission. If not, just a simple no is required or, at worst, a small explanation as to why I would like my wall sans-graffiti. Provided controversy is not the main issue, we should be find even more ways to be open, as a society, to unlicensed art. This is especially true if it is a small statement about society and its politics and nothing that will stir up problems. Most people appreciate traditional public works, and I am a fan of public sculptures in gorgeous public gardens and courtyards. There is just something about outdoor sculptures that compliments its surroundings so nicely, like a brilliant piece of architecture. Maybe it is time at long last, we began to appreciate less traditional forms of art too. You can donate to Art Everywhere, a project aiming to bring art to streets across the UK, here or read more about the debate on graffiti here. Why is International Aid the “punching bag” of Austerity Britain?